When it comes to preparing for Active Shooters, training alone will not get it done. You need Wilmes’ holistic approach. With more than 14 years of emergency preparedness experience, we have what it takes to keep you safe. 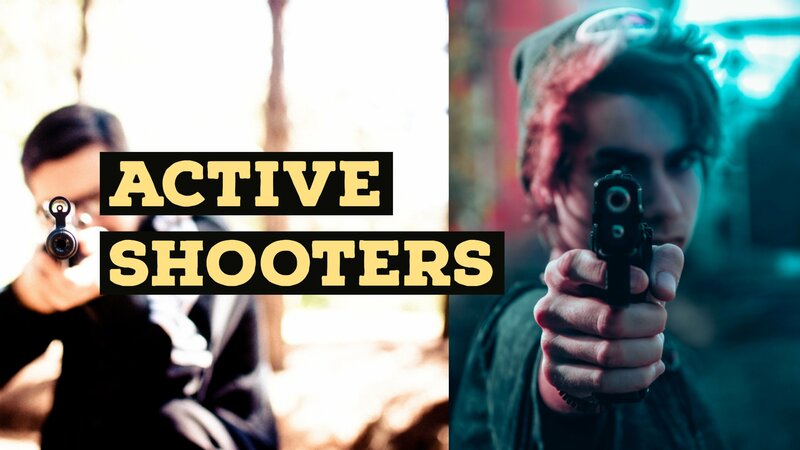 Active shooters are typically home-grown perpetrators and that means they usually have suffered some sort of bullying over the years. In addition, many grow up in fatherless homes. Their violence is asocial and dealing with that violence requires a special mindset and you need to catch early. Traditional bullying programs simply don’t work. You need a comprehensive new approach with third party involvement. Our Operation Right Hook is the answer. Without the right (the proper) support from parents, students will continue to manifest negative behaviors and those behaviors will go unchecked. Parents serve as early detection systems as well as one of the few pathways to correct negative behaviors. We cover topics such as fatherless homes, raising boys, signs and symptoms of bullying, reinforcing boundaries and identifying lead-up events. What we find is that most school districts hand out keys like homework, giving it out but not always getting it back. And that means active shooters may be able to gain access to sites after-hours to plan their attacks. Sounds simple right? While camera systems are fairly straightforward, the little things matter. In the Marjory Stoneman Denman shooting, the police found that the cameras were on a 26-second delay. While this delay didn’t cost lives, it cost valuable response resources. And worse, IF the shooter wanted to stick around it could have cost more lives. Management of Aggressive Behavior is the base for all the training that will follow in your active shooter training. MOAB provides the introduction staff need to deal with all types of violence including customer service interactions. This is a foundational training that is the most important component to keeping you alive. Recognizing threats “Left of Bang” is the goal and this training will help you get there. Based on Chase Hughes’ Ellipsis Manual, you will be able to assess threats at lighting speeds and use responses to reduce that threat immediately. Knowing what to do in perfect circumstances is great, but being able to execute responses under imperfect, stressful situations is an entirely different experience. Each of our drills will innoculate you against the stress of the event’s chaos. Running and hiding are good options, but if you have to fight for your life, then you need the tools and skills to be combative. These courses focus on basic and advanced techniques to make you able to respond to true violence. We explore Krav Maga and Tim Larkin’s thoughts on Violence. We have all played hide and seek. And as you already know, some hiding spots are better than others. And some barriers are stronger than others. In this audit, we help you determine which spots are the best.